Libraries ordered by October 2014 borrowing figures. Full Excel download available with all years. 1. Visitor numbers to community libraries have increased faster than other libraries in Lewisham. 2. Book borrowing is on a general downward path. 3. Decline in book borrowing has been far worse in community libraries. Looking specifically at Forest Hill Library, the decline in borrowing has been least of all Lewisham libraries. 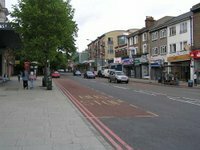 Forest Hill has also seen the largest increase in visitors of all council run libraries (not including Deptford and Torridon Road which were not open in 2010). Community libraries are almost certainly better than no library at all, and volunteers have worked hard to make these smaller libraries work, but based on the experience with existing community libraries over four years, transferring more libraries to Community management is likely to result in massive reductions in borrowing (core library services). 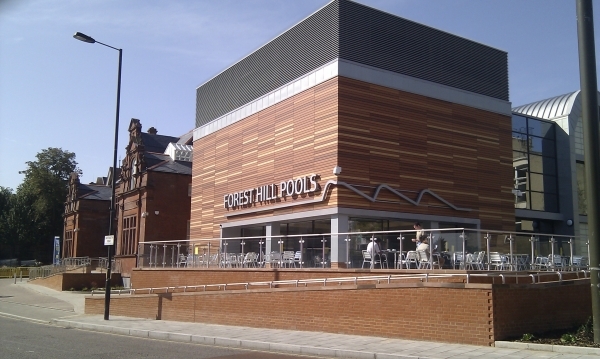 The Forest Hill Society opposes the community model as a method of providing services in Forest Hill Library and believe it will have a negative impact on children and adults in the local area. We urge you to complete the survey provided by Lewisham council on cutting library services and make your views known. I wonder how you manage to oppose the scheme at the same time as joining in the takeover of Forest Hill library with arts profiteers V22? Or is this not such a contradiction as it would seem when money swings your way? Since the council took the decision to turn Forest Hill Library into a community library, the Forest Hill Society has worked with the Forest Hill Traders Association and V22 Foundation (which is Not for Profit) to ensure the best possible future for Forest Hill Library. We have been determined not to stand idly by while the library service in Forest Hill is destroyed. It would have been easy to walk away having opposed the community library model, but that would not have ensured the best possible future for the library and the community. The Forest Hill Society will not make any money from Forest Hill Library. The two organisation will be run completely separately (as will any commercial activities of V22). Our intentions are only to provide the best possible future for the library and for Forest Hill. I hope that we will be judged by the visitor numbers and borrowing figures in the future.